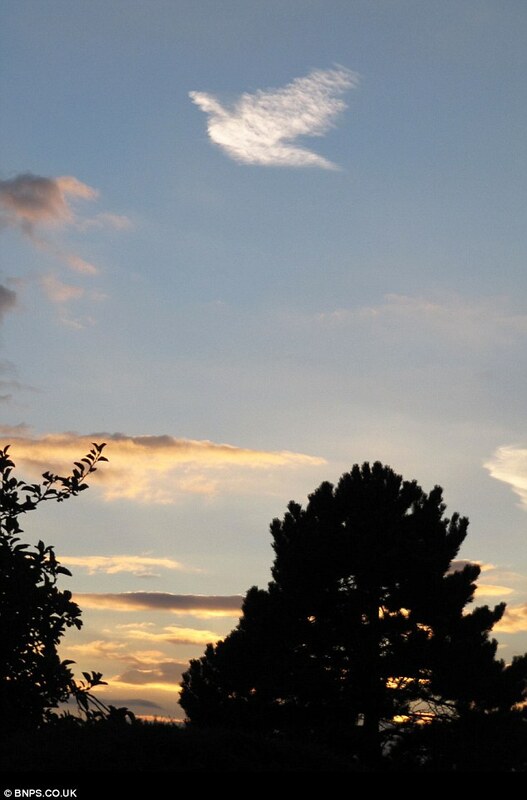 - go to bed in good time, and you are already perfect.'" From Father George William Rutler's column in the September, 2010 Magnificat. Pope to teachers: "Your must teach students how to live life to the full"
I greet all of you with the joy in the Lord and I thank you for your warm reception. I am grateful to Archbishop Nichols for his words of welcome on your behalf. Truly, in this meeting of the Successor of Peter and the faithful of Britain, "heart speaks unto heart" as we rejoice in the love of Christ and in our common profession of the Catholic faith which comes to us from the Apostles. All mothers feel the sufferings of their children as their own. 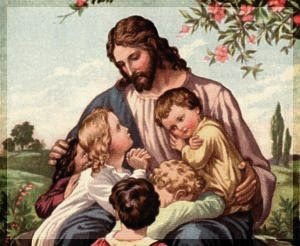 Hence, when the Canaanite woman entreated our Saviour to deliver her daughter from the devil that tormented her, she asked Him rather to pity her, the mother, than her daughter: "Have mercy on me, O Lord, Thou Son of David, my daughter is grievously troubled by a devil." But what mother ever loved her son as Mary loved Jesus? Let us only imagine what a flame He must have enkindled in that pure heart of His holy Mother, void as it was of every earthly affection. In fine, the Blessed Virgin herself told Saint Bridget, "that love had rendered her heart and that of her Son but one." That blending together of Servant and Mother, of Son and God, created in the heart of Mary a fire composed of a thousand flames. 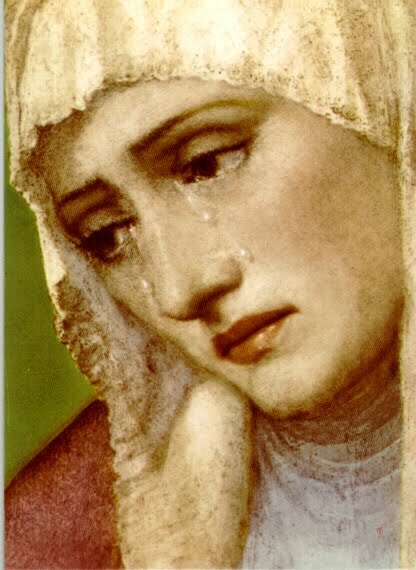 But the whole of this flame of love was afterwards, at the time of the Passion, ranged into a sea of grief, when Saint Bernardine declares, "that if all the sorrows of the world were united, they would not equal that of the glorious Virgin Mary." Yes, because, as Richard of St. Lawrence writes, "the more tenderly this Mother loved, so much the more deeply was she wounded." 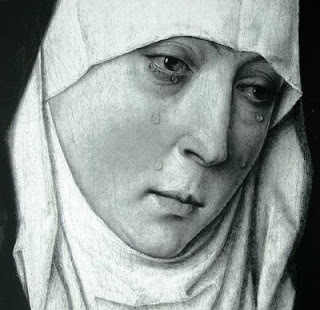 The greater was her love for Him, the greater was her grief at the sight of His sufferings; and especially when she met her Son, already condemned to death, and bearing His cross to the place of punishment. 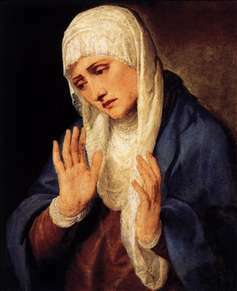 The Blessed Virgin revealed to Saint Bridget, that when the time of the Passion of our Lord was approaching, her eyes were always filled with tears, as she thought of her beloved Son, whom she was about to lose on earth, and that the prospect of that approaching suffering caused her to be seized with fear, and a cold sweat to cover her whole body. Saint Bonaventure, contemplating Mary on that night, says: "Thou didst spend it without sleep, and whilst others slept thou didst remain watching." In the morning the disciples of Jesus Christ came to this afflicted Mother, the one to bring her one account, the other another; but all were tidings of sorrow, verifying in her the prophecy of Jeremias: "Weeping, she hath wept in the night, and her tears are on her cheeks; there is none to comfort her of all them that were dear to her." Mary goes with Saint John, and by the blood with which the way is sprinkled, she perceives that her Son has already passed. 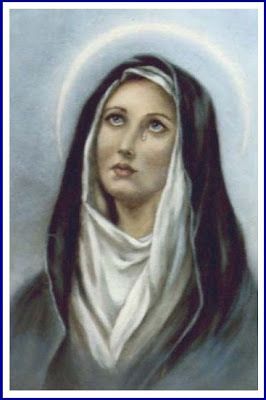 This she revealed to Saint Bridget: "By the footsteps of my Son, I knew where He had passed: for along the way the ground was marked with blood." Alas, what a scene of sorrows then presented itself before her! the nails, the hammers, the cords, the fatal instruments of the death of her Son, all of which were borne before Him. 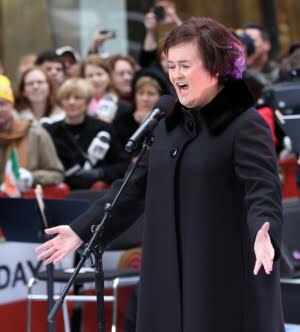 And what a sword must the sound of that trumpet have been to her heart, which proclaimed the sentence pronounced against her Jesus! But behold, the instruments, the trumpeter, and the executioners, have already passed; she raised her eyes, and saw, O God ! a young man covered with blood and wounds from head to foot, a wreath of thorns on His head, and two heavy beams on His shoulders. On the one hand she desired to behold Him, and on the other she dreaded so heart-rending a sight. At length they looked at each other. The Son wiped from His eyes the clotted blood, which, as it was revealed to Saint Bridget, prevented Him from seeing, and looked at His Mother, and the Mother looked at her Son. Ah, looks of bitter grief, which, as so many arrows, pierced through and through those two beautiful and loving souls. 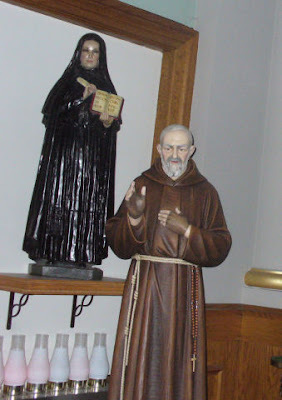 The Mother would have embraced Him, as Saint Anselm says, but the guards thrust her aside with insults, and urged forward the suffering Lord; and Mary followed Him. Ah, holy Virgin, whither goest thou? To Calvary. And canst thou trust thyself to behold Him, who is thy life, hanging on a cross? "We even pity wild beasts," as Saint John Chrysostom writes; and did we see a lioness following her cub to death, the sight would move us to compassion. 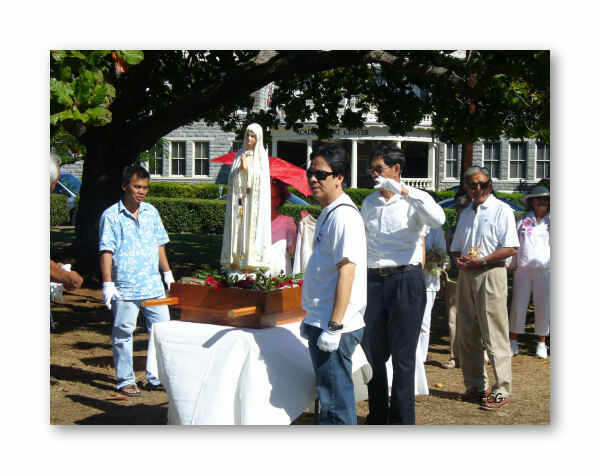 And shall we not also be moved to compassion on seeing Mary follow her immaculate Lamb to death? Let us, then, pity her, and let us also accompany her Son and herself, by bearing with patience the cross which our Lord imposes on us. 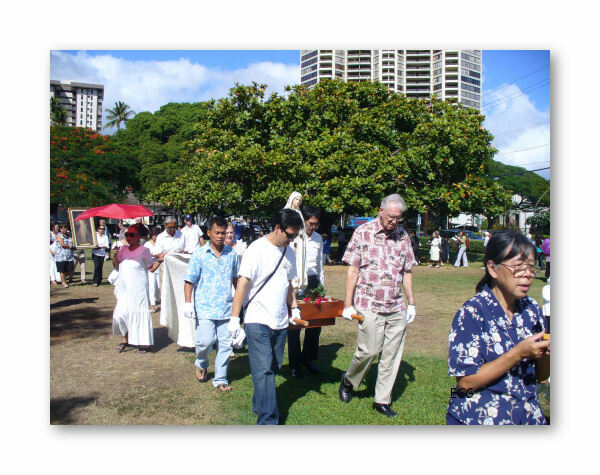 Saint John Chrysostom asks why Jesus Christ, in His other sufferings, was pleased to endure them alone, but in carrying His cross was assisted by the Cyrenean? 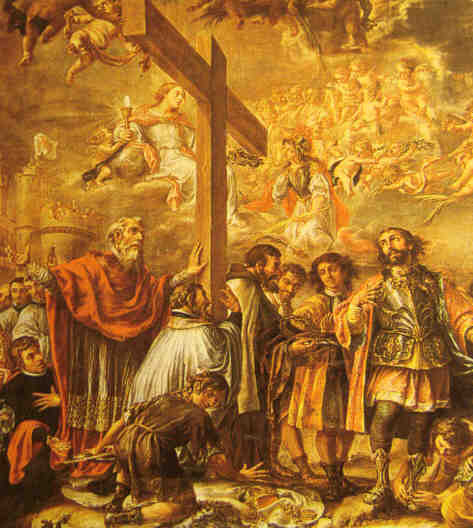 He replies, that it was "that thou mayest understand that the cross of Christ is not sufficient without thine." A big mahalo to Carnival for sharing! Church and civic representatives from four key African countries have signed a declaration appealing for international action to stop guerrilla forces terrorizing the region. About 30 community leaders made up of senior clergy and government representatives put their signature to a communiqué calling on national and international leaders to do more to prevent attacks by the Lord’s Resistance Army in Sudan, the Democratic Republic of Congo, Uganda and the Central African Republic. The declaration calls on the countries’ governments to work together to quell the LRA threat, demanding that further pressure on the four nations be applied by the EU, the US and the UN. Further articles outlined in the document include an appeal for more humanitarian support to help refugees and displaced people and there is a plea for a resumption of peace talks to bring the LRA threat to an end. In an interview with Catholic charity Aid to the Church in Need (ACN), Bishop Eduardo Hiiboro Kussala of Tombura-Yambio, who organized the conference, stressed the continuing threat posed by the LRA. Speaking Tuesday, September 14th, at the end of the four-day meeting, Bishop Hiiboro underlined the need for international pressure to step up security in the region. 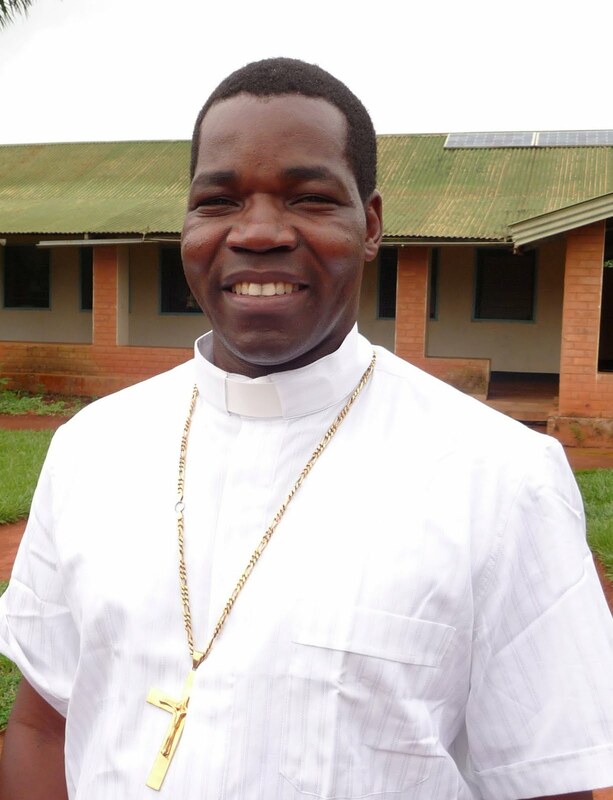 Bishop Hiiboro said a reminder of the LRA threat came just days before the conference got underway last week when eight people were hacked to death by machetes. A further 14 were badly wounded, some seriously, during the attack which took place in Yambio, the regional capital of Western Equatoria State where the bishop is based and where the conference was held. A year ago, the remains of six people were discovered nailed to a tree close to Yambio in an atrocity that was likened to a crucifixion scene. Again the LRA was implicated. Amid widespread reports pointing to LRA collusion with Sudan President Omar al Bashir’s Islamist regime in the capital, Khartoum, Bishop Hiiboro said it was unclear who was backing the insurgents. The LRA issue is expected to have a major bearing on the outcome of the long-awaited referendum on the possible cessation of South Sudan, due in January. At a time of continuing fear of attacks, reports have shown that voters are likely to be swayed by the government – be it the semi-autonomous administration in the south or the Khartoum-based government of national unity – best placed to bring the LRA threat to an end. First of all, please check out their new blog. I am adding the link to the sidebar. 1. Please send your prayer requests, and I will pray for Newman's intercession at Sunday's Beatification Mass celebrated by the Holy Father! 2. If you would like to follow the Holy Father's visit to England and our Official U.S. Pilgrimage to Newman's Beatification, be sure to follow us on Twitter and read our blog Campus Notes starting Wednesday. Simply reply to this email** with your prayer requests, and our pilgrims and I will pray for your intentions at Cardinal Newman's beatification by Pope Benedict this Sunday! **(You may have to contact them on their blog or website). 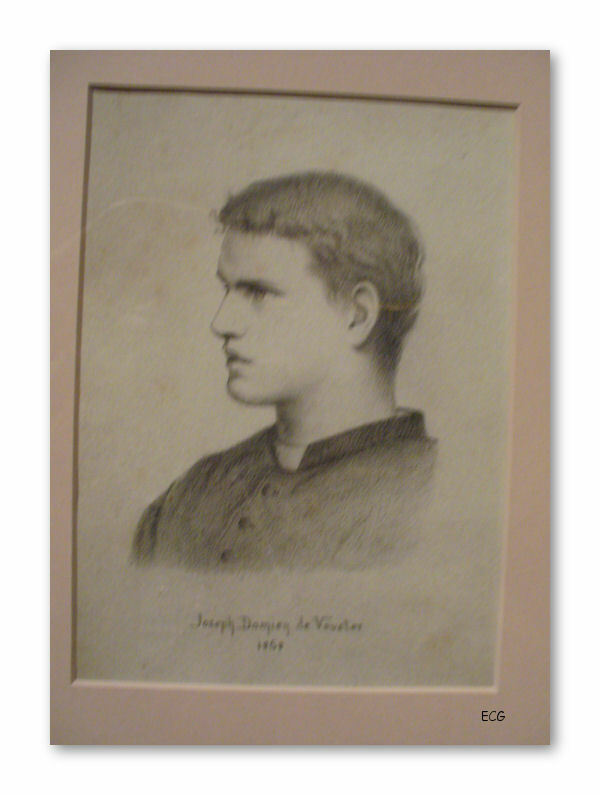 We will also pray for your intentions during the first-ever Mass at the Newman Shrine in Birmingham, England, where Newman's remains are preserved. 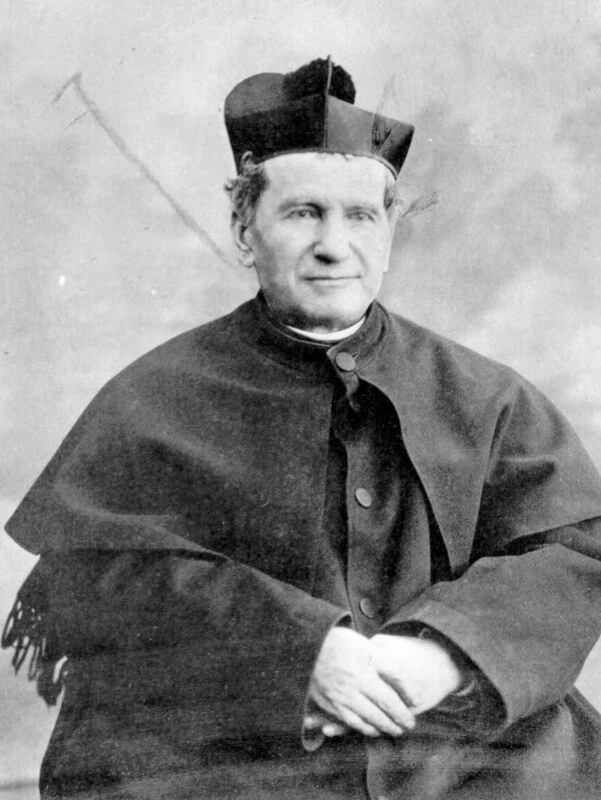 Deacon Jack Sullivan, whose back was healed by Newman's intercession, will assist at this Mass concelebrated by at least four bishops and the leader of Newman's Cause for Canonization. And send this to your family and friends -- I would love to hear from them as well! 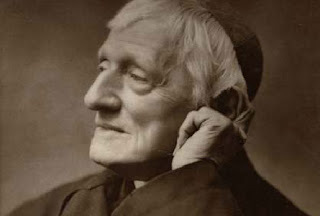 You've probably heard by now that The Cardinal Newman Society is leading the Official U.S. Pilgrimage to England for Cardinal Newman's beatification. We're so excited to be taking part in this momentous event in Church history with the Holy Father! In addition to attending Mass with Pope Benedict for the beatification, we'll be visiting sites around historic Catholic England. This includes sites in Birmingham, Oxford, Littlemore, and even London! I leave for England just 2 days from now, so it's important that you reply to this email with your prayer intentions today. As president of The Cardinal Newman Society, I've always asked for your continuing prayers for the success of our work. And thanks to your prayers, we have seen tremendous progress in the renewal of Catholic higher education. 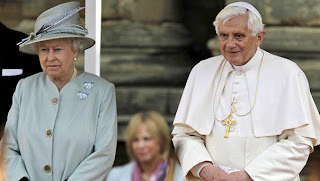 Most recently I asked you to pray for our Holy Father Pope Benedict XVI. Your outpouring of love was so incredible that more than 1 million prayers were pledged. Now it's The Cardinal Newman Society's turn to pray for you! 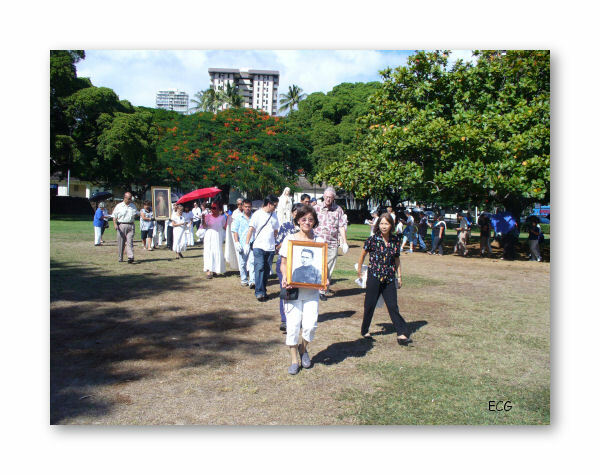 I will bring your intentions before Newman and the Holy Father at Sunday's beatification. Shared by Brother John Samaha, S.M. The rapid progress of technology poses serious problems to the Christian educator. On the doctrinal level there is nothing to worry about because there cannot be any contradiction between the laws of the physical world and those of the supernatural world, granted that God is the author of both. We recognize the grandeur of technology since by it divine creation harvests new accomplishments which permit us to attain and use created goods more easily, and this sense of effectiveness also reaches into the domain of spirituality and of the apostolate. Yet we must recognize that the type of person which technology is increasingly producing has not arrived at a balanced faith. There exists the danger of indifference to real human problems and insensibility toward the contradiction between that may arise between faith and personal attitudes. The passion for organization, a necessary consequence of technology and a good in itself, raises the serious danger of creating a world in which we see ourselves as similar to bees in a hive. The bees instinctively obey the super organization of their hive. In societies where everything is organized down to the last detail humans are increasingly more specialized by detailed tasks and begin blindly to obey minute regulations and repeat automatic gestures without even asking themselves why they are working. We run the risk of becoming like the insects. Transposed to the moral and religious level, a technological mentality engenders legalism and pharisaism. Evidently the Christian educator must react against such a dangerous deviation. We need to teach the sciences with competence and harbor the conviction that Christianity is as capable of spiritualizing technology as it was to incorporate Greek civilization into its synthesis. There is need of rejecting the tendency to eliminate gradually the humanities from the school program. Rather strive to center teaching on the formation of the person instead of on the acquisition of knowledge, on culture rather than on technology, on the unity of knowledge instead of the quantity of information. Following the current trend would risk allowing science to become a boomerang that kills its own possessor. The Christian educator knows that in protecting students from the lack of balance which the technological mentality threatens can contribute to growth in Christ. by Father Paul Joseph Hoffer, S.M. Just show me what is your will." If you do this, your life will be happy and serene. Even in the midst of troubles you will experience great consolation, for grace will be given to strengthen and help you to cope with every difficulty. 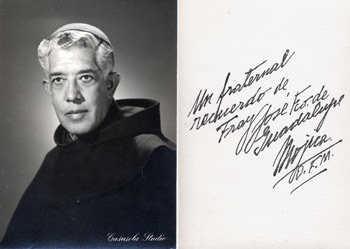 I only learned about this Mexican born well-known actor/opera singer called to the priesthood (and with Peruvian connections) today. 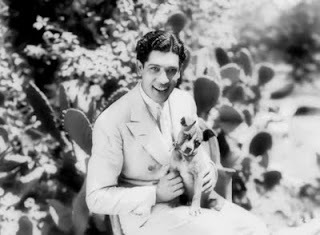 Thanks to the following video you can hear the story of Fray Jose Mojica, friend of many famous people, including Enrico Caruso. You can also hear him singing in the background. To read more about another actor turned priest, Padre Humberto Almazan, click here. If you click on the picture sources and can read Spanish, you can learn more about Jose Mojica. If you know of any other good sites and blogs to add here, please let me know. Also, today is the second day of the Novena for our Holy Father. 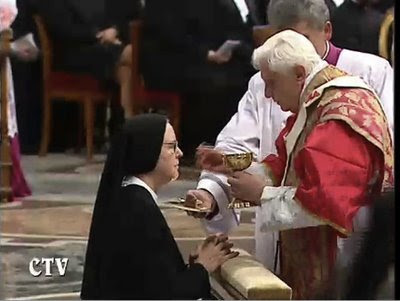 "Kneeling for communion is one of the innovations that pope Joseph Ratzinger has introduced when he celebrates the Eucharist." 15th of September - Feast of Our Lady of Sorrows. and for the Holy Father's intentions". For overseas readers, perhaps the best way of joining in the Novena is to say the Rosary each day, or at least one decade, for this intention. for all the world. Amen. 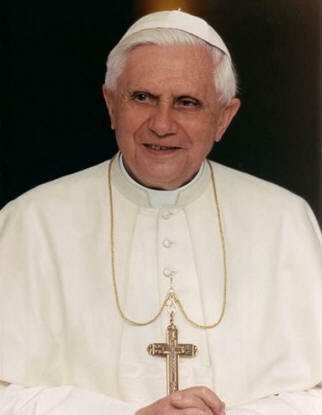 V. Let us pray for Benedict, the pope. to the power of his enemies. be upon your holy servant. 1. 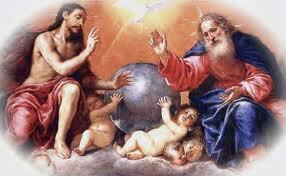 The Prophecy of Simeon. 2. The Flight into Egypt. 4. 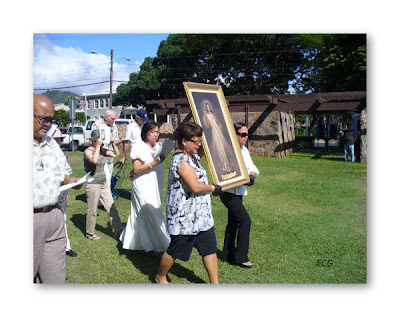 The Meeting of Jesus and Mary on the Way of the Cross. 7. The Burial of Jesus. "...On Calvary, we behold the thorns that wounded the adorable head of our Saviour, the nails that pierced His hands and feet, the lance that opened His Heart, the ropes that bound Him, the gall and vinegar He was given to drink, and the wounds which covered His body from Head to foot. 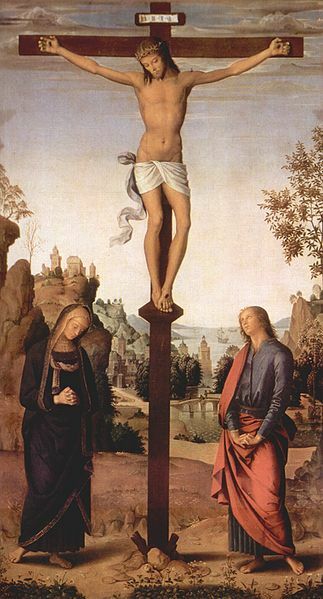 'O my Queen,' exclaims St. Bonaventure, 'Thou are not only standing near the Cross, but thou art with Thy Son on the Cross; Thou dost suffer, thou art crucified with Him, the only difference being that while He suffers in His body, thou dost suffer in thy loving Heart. All the wounds scattered over His body are united in thy Heart, because the sword of sorrow has pierced they very soul. Thy virginal Heart, O my sovereign Lady, is wounded by the lance, pierced by the nails and thorns, heaped with opprobrium, ignominy and imprecations, saturated with vinegar and gall. Why wouldst thou, most honored Lady, be immolated for us? Is not our Saviour's Passion sufficient for our salvation? Must the mother also be crucified with her Son? O sweetest Heart, so full of love, must thou then be changed into bitter sorrow? I seek to behold thy loving Heart, my dearest Mistress, but it seems to have vanished and in its place I find only the bitterness of gall, myrrh and absinthe. I seek the Mother of /God and I find only thorns, nails, a lance, a sponge and vinegar. I look for Mary on the Cross and I see only spittle, insults, lashes and wounds, so truly has she been overwhelmed by outrages. 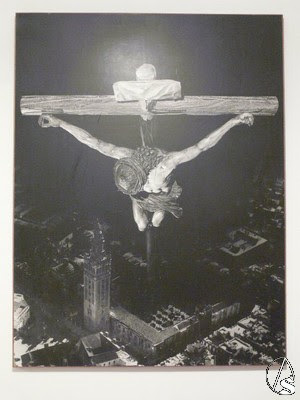 When her Son was crucified. Bitter sorrow pierced her heart. Mary watched her dying Son. Mary gazed upon her Son. 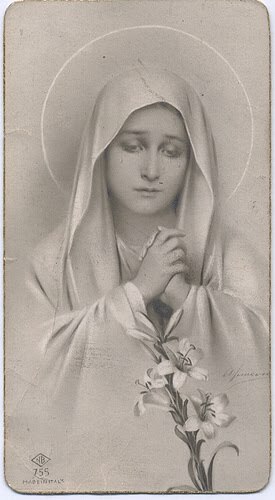 Would not share the Virgin's grief? Bruised and beaten by the rod. Saw him breathe his very last. All the sorrow you endured. Fire me with your love of Christ. In the depths of my poor soul. Let me stand and mourn with you. Let me feel your grief sublime. At the Judgment Day defend me. Help me by your constant prayer. With the fruits of victory. Virgin of all virgins blest! Of your dying Son divine. In His awe-full judgment day. Safe in heaven eternally. Amen Alleluia. you reveal the depth of your love for us. you draw everyone to yourself. from all its sin and weakness. But you also ask for our cooperation. and our fellow human beings. in our own small way. as well as defense against our enemies. and we experience spiritual joy. and the perfection of all sanctity. into eternal happiness in heaven. Here indeed you have a sturdy and fruitful devotion! Spend a few moments each Friday going over those fourteen points of our Lord's Passion and Death. I assure you that you will gain strength for the whole of the week. Note: The writer of this article unfortunately used the word "savages" although, I do think he meant it toward the Hawaiian people and "lepers" when referring to Hansen's Disease patients. Thanks to my mom and John Michael for reminding me of it. 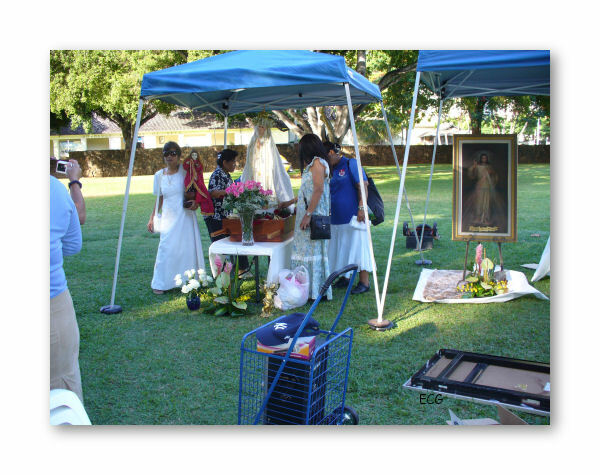 In honor of the Anniversary of the Last Apparition of Our Lady of Fatima on October 13th, 1917. Please join us! 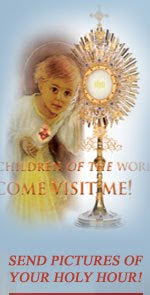 Invite your family and friends to gather together and show your love for our Blessed Mother and her Divine Son. The following are photos from last years public rosary.